Electrical Contact Heads provide alarm or control functions. 100mm and 160mm dial instruments can be specified with electrical contact heads mounted in a macrolon plastic window which replaces the standard window. 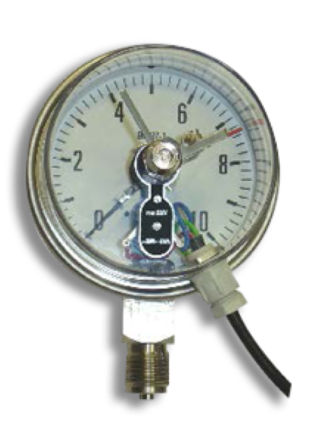 The set point can be adjusted to any position on the scale with a removable key. Single, dual, triple and quadruple contact systems are available. Electrical contact heads provide a repeatable switching point and can be fitted to 100 & 160mm gauges.